A lanky redheaded magician with a crinkly smile named Adam, and his talking dog Mopsy, travel to the walled city of Mageia in order to apply to the Guild of Master Magicians. There’s just one problem. Adam is truly Magic and that causes the other magicians to be jealous and fearful and to rise up against him in a murderous riot. What ever happened to peace, love, community and collaboration? Anybody? 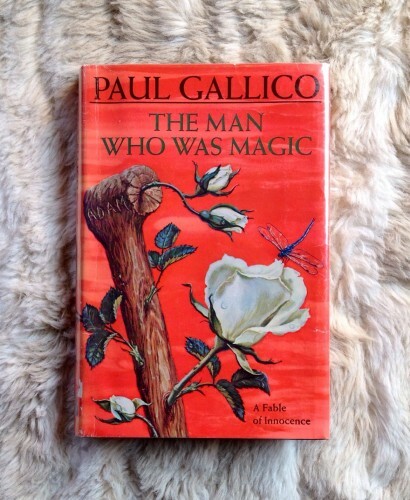 The Man Who Was Magic, by Paul Gallico, was written for young adults, though I would extend to it the “children of all ages” categorization. It was written in 1966 and unfortunately it is now out of print. My friend Allison tracked down this used library edition for me (a First Edition, well loved). Yeah, she’s a little magic too. I wouldn’t be surprised if it’s available on Kindle though, or you might find it at your local Library! This book is sweet, sentimental, and even while reading the worrisome parts you know how it will all turn out. That may make me a sap for liking it. So be it. It’s any easy “Feel Good” on a wintery afternoon. 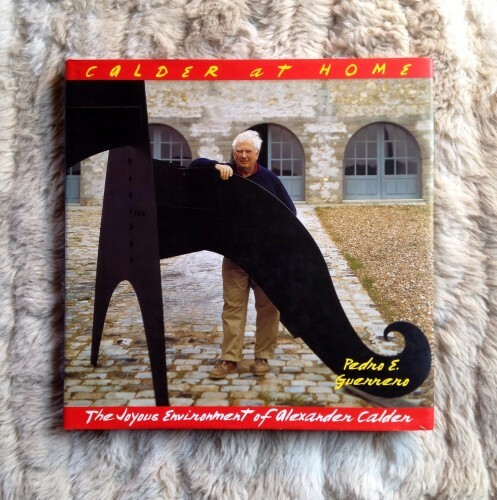 My favorite book of Interior Design is Calder at Home, The Joyous Environment of Alexander Calder by Pedro E. Guerrero, published by Stewart, Tabori & Chang in 1998. 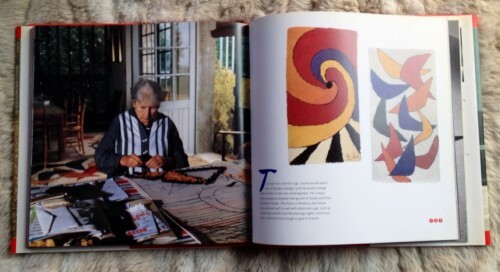 One of the many reasons I love this book is because it shows not only the interweaving of art-making and home-making which I am so keen on, but you can also see so clearly what a wonderful pair Alexander and Louisa were and how they inspired each other. My favorite Art book is really just a bit of Christmas fluff. It is Greetings from Andy (Warhol) – Christmas at Tiffany’s, by John Loring, published by Harry N. Abrams, INC. in 2004. 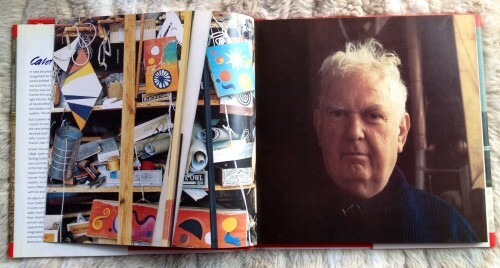 I’ve always preferred Warhol’s early advertising artwork from the 1950’s to his later work. What I didn’t know was his process. He liked to create the look of a print by doing a wet offset image with lots of ink splotches and then pressing two sheets of paper together. 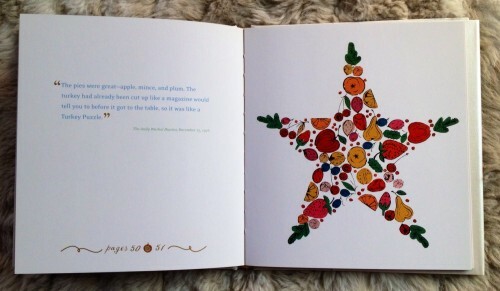 Later he would tip in watercolor loosely, purposely not worrying about staying inside the lines to give it a childlike feel. 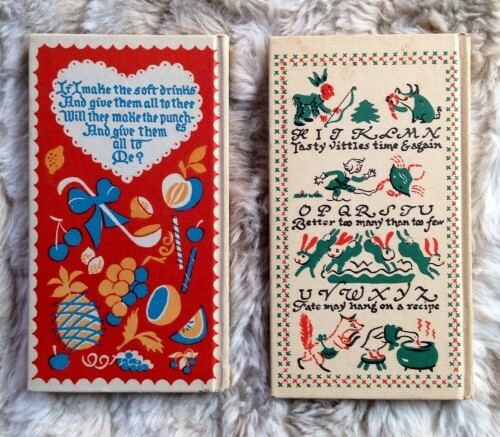 And finally, my favorite cookbook(s) for December are two tiny books inscribed from my mom to my Gramma Dottie: To Mother, Christmas, 1954. 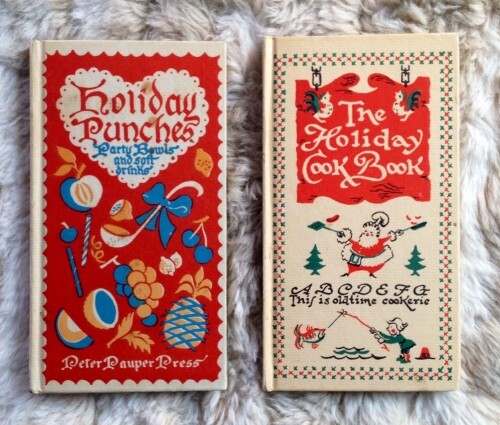 They are Holiday Punches, Party Bowls and Soft Drinks, and The Holiday Cookbook, both published by Peter Pauper Press in 1953 and 1950, respectively. I’m actually having a cup of Hot Mulled Cider as I write this. It’s a little recipe from the Holiday Punches book, just cider, cloves, cinnamon, nutmeg and sugar. Very nice as it is currently 21 degrees and partly cloudy according to my weather app. Might as well enjoy it! I hope you take some time to enjoy a cup of something hot and sweet and a good book or two this month as well. My horoscope keeps reminding me this is the time of year to slow down. My guess is that would be a good idea for everyone!